Flowers are the organs used for sexual reproduction in plants. Sexual reproduction requires two different sexes and plants are no exception. 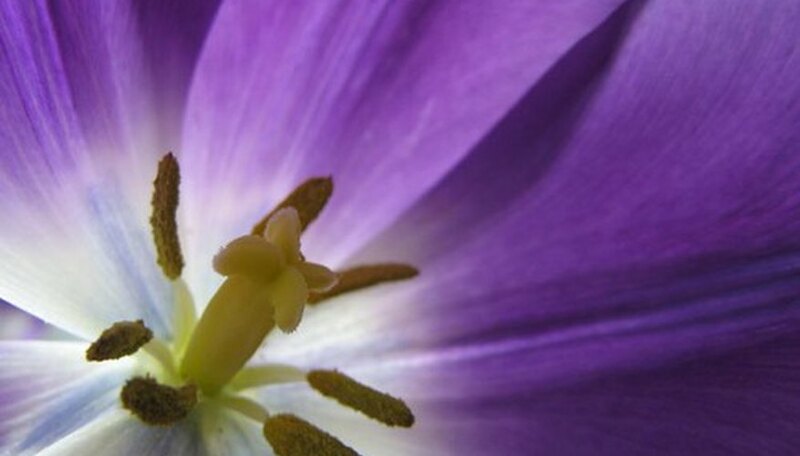 "Gynoecium" is the term for the female flower parts, and the male flower parts are called an "androecium." Plants may produce "perfect" flowers that have both male and female parts in the same flower. Some plants produce "imperfect" flowers that are strictly female or male. In these cases the entire plants can be considered either male or female. Still other plants produce both imperfect female and male flowers on the same individual plant. Structurally, the androecium (male parts) is relatively simple compared to the gynoecium (female parts). While the female parts of a flower contain ovules (sort of like unfertilized eggs), receive pollen, and eventually produce fruit and seeds, the male parts have only one purpose--to produce pollen. An androecium consists of the stamen. A stamen has two parts--the filament and the anther. Filaments support the anthers and the anthers are the site of pollen production. A filament is a thin stalk, containing a single vascular bundle arising from the base of the flower. Some flowers have only a few filaments, while others have a large number. Filaments serve to get the pollen-producing anthers up in the air where the pollen can be effectively dispersed. 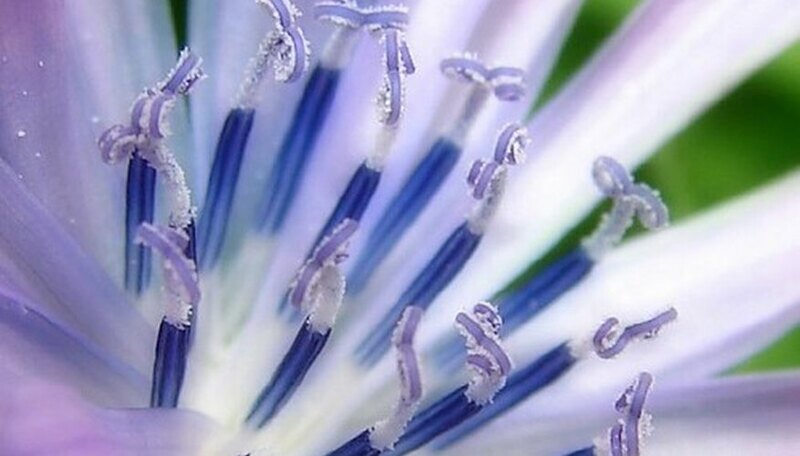 Anthers exist at the ends of the filaments. Anthers are divided into pollen sacs (microsporangia) which, of course, contain pollen. In most plants, the pollen sacs break open spontaneously to let pollen escape through slit-like openings. Plants use a variety of strategies to ensure that the pollen is effectively dispersed. Some anthers are positioned within a flower so that insects rub up against them to carry pollen off when they leave. Bees actively collect pollen directly from the anthers. In other cases the pollen is blown out of the pollen sacs by wind. Pollen grains consist of a few cells, and are designed to deliver sperm to an ovule. When a pollen grain finds its way onto the stigma of a female pistil, it germinates and sends a pollen tube down the stigma into the ovary to fertilize an ovule with a sperm cell. Once the ovule is fertilized, the sexual reproductive process proceeds to completion and the ovary becomes a fruit with the ovules developing into seeds within the fruit.